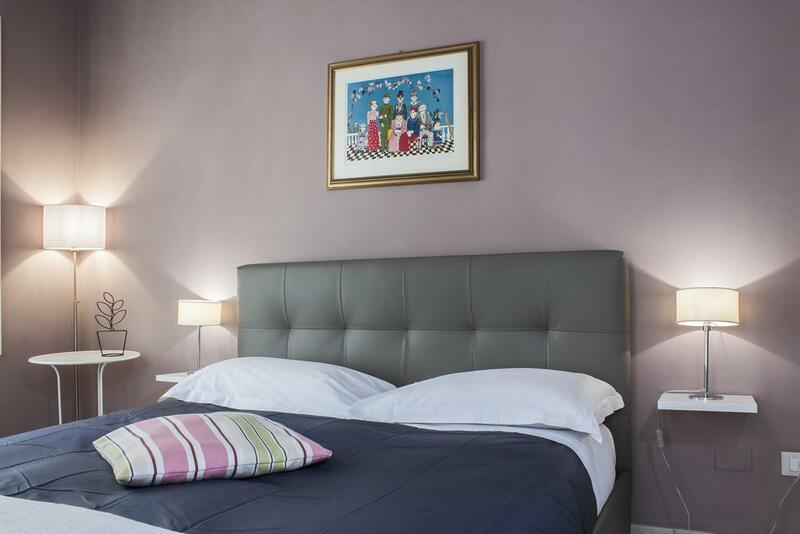 The Charm of a Boutique Hotel, the familiarity of a B&B. 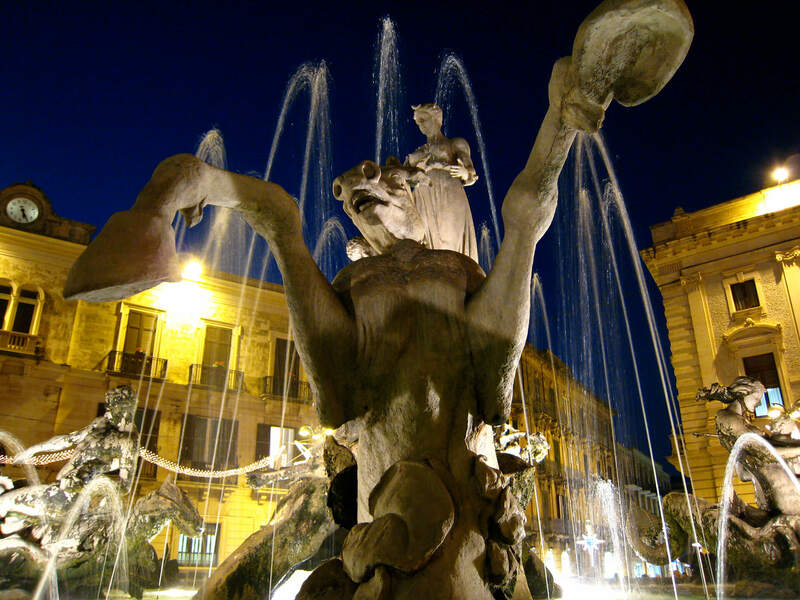 Palazzo Gilistro is located in Syracuse on Amalfitania street, adjacent to Piazza Archimede and only a few meters away from Piazza Duomo, in the heart of the island of Ortigia, today known as a UNESCO World Heritage Site. 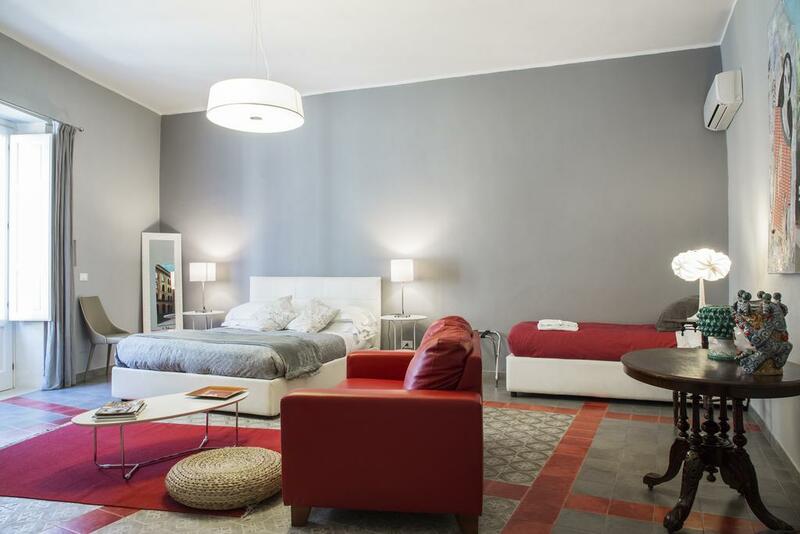 Palazzo Gilistro was born from a learned renovation which, while maintaining its architectural and historical connotations of the early Baroque period, offers all modern comforts. 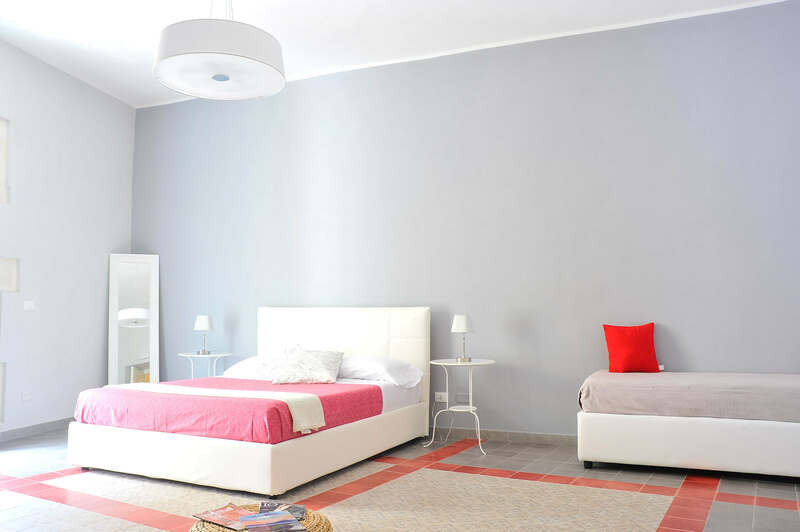 All rooms have one or more balconies with city view or for some of them with sea view and / or private terrace. 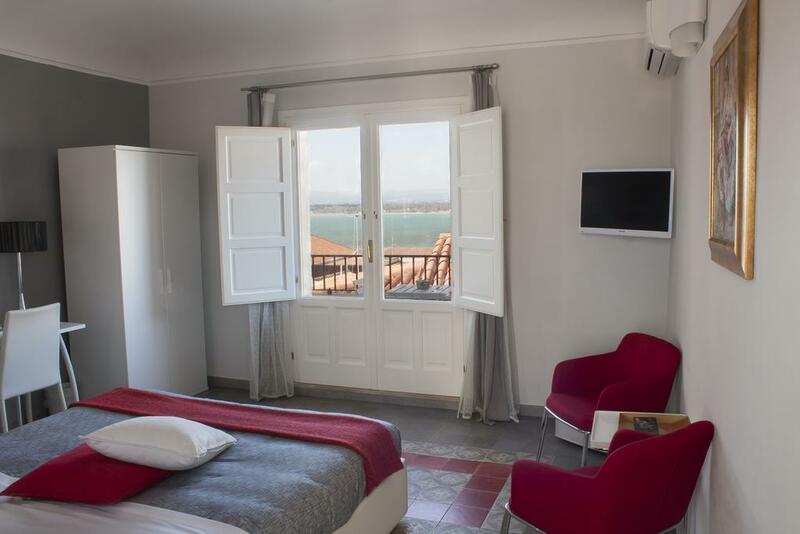 On the third floor the charming terrace offers to our guests a beautiful view on the Great Harbour, on the Jesuit College Church, and on the roofs of Ortigia. 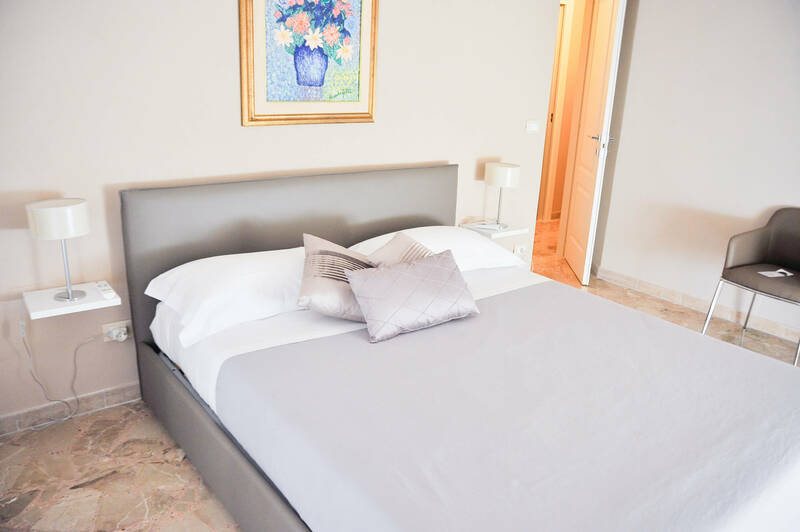 The rooms are all furnished with prestigious finishes typically belonging to the Sicilian tradition, such as floors of decorative cement tiles or luxurious ancient marbles in shades of pink (standard double rooms) or black (superior double room). 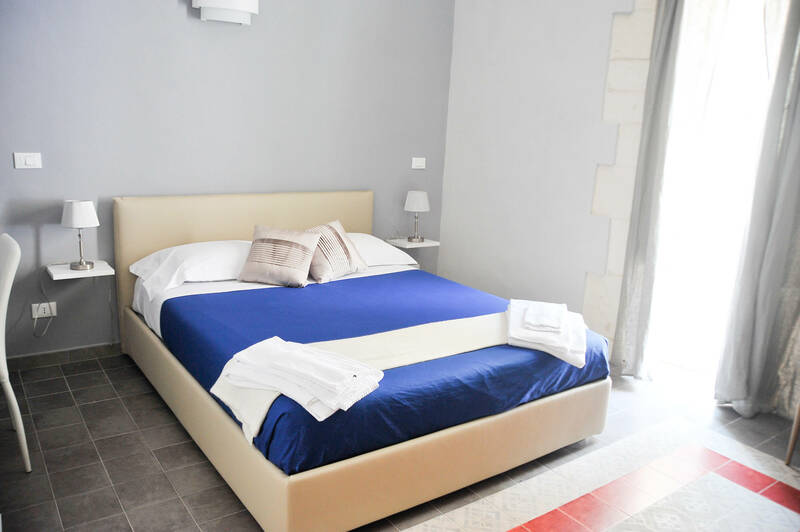 Each room has its own private bathroom, large panoramic balconies overlooking the small streets of Ortigia, air conditioning, satellite TV, Wi-Fi, hairdryer, courtesy kit and memory mattresses. At the corner of the building, between Cavour Street and Amalfitania Street, a newly restored Egyptian granite column is set, which, according to oral tradition, was used as the “pillory of Syracuse“, dating back to 1400, one of the most important city’s places both from a social, economic and commercial point of view. 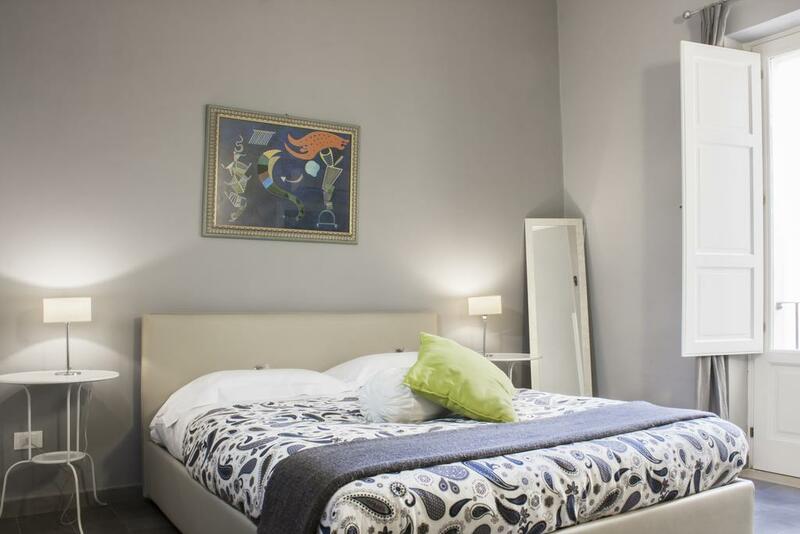 Because of the location in the heart of Ortigia (150 meters from the Duomo). 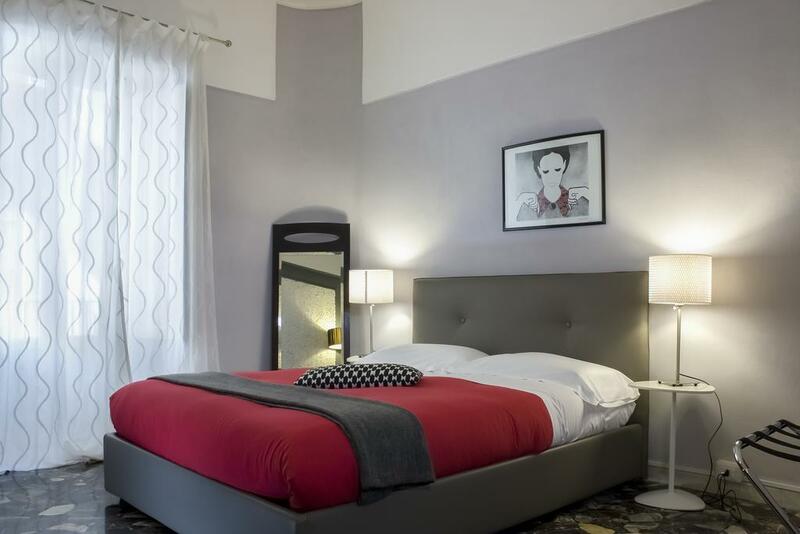 Because staying in an antique house you can live the authentic atmosphere of the old town without giving up modern comforts, of which the structure was equipped after years of restructuring. Because from the terrace you can admire the Gulf of Syracuse with the harbour, the ancient buildings, the most beautiful churches and suggestive alleyways.